Yesterday I decided to take a day off and my wife, a friend and I went to the Brandnertal for some spring skiing. 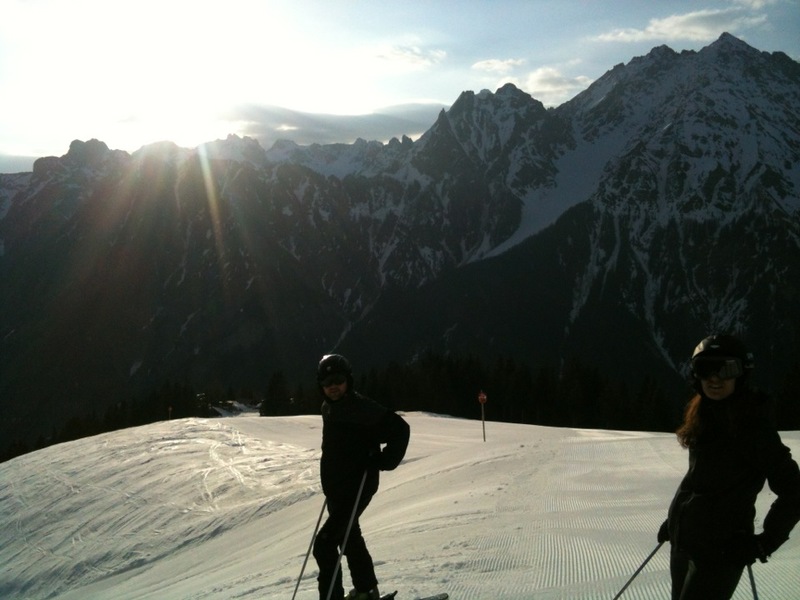 Skiing in April is tricky, as the snow will get very wet during the day. Therefore we really appreciated their offer to start the day early. The last weeks of the skiing season the lifts run from 7.30, which allows people to enjoy the sunset on the Piste and also have perfect snow conditions. We did a lot of runs as there were only some people skiing that early. 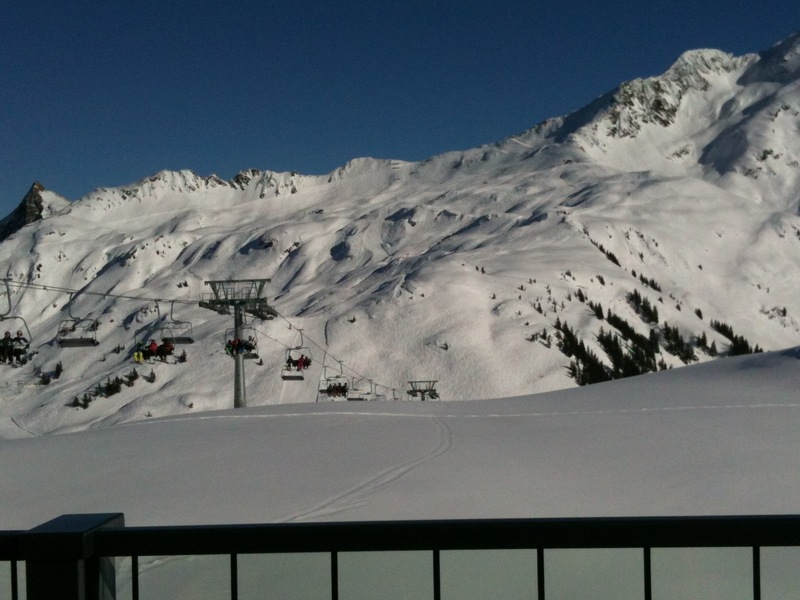 At about 10, when the pistes got more crowded, we went to the “Palüd-Hütte” for some lovely breakfast. After that, the sun disappeared and it got chilly on the mountain. Therefore we decided to call it a day and head home. I used to work in that region as a destination manager and it is hard to be objective for me. But I still love to go there for skiing as it is perfectly fitted for me. It can be reached rather easily, the people are really nice and the skiing resort is good and others great money for value. I am a rather good skier and I would perhaps not stay there for a week long skiing holiday, but if you are not too experienced or are looking for a place to go for just one or two days the Brandnertal might be perfectly suited for you. If you want to go on skiing holidays with your family its probably one of the best resorts in Alps, as they really are targeting families and have a lot to offer for kids and parents! The weather is momentarily just great, and this is why I do not write too long postings at the moment. Today I did a nice ski-tour and I thought it would be a nice change to show something personal for a change, as I did a lot of postings about Cities or holiday tipps in the last weeks. 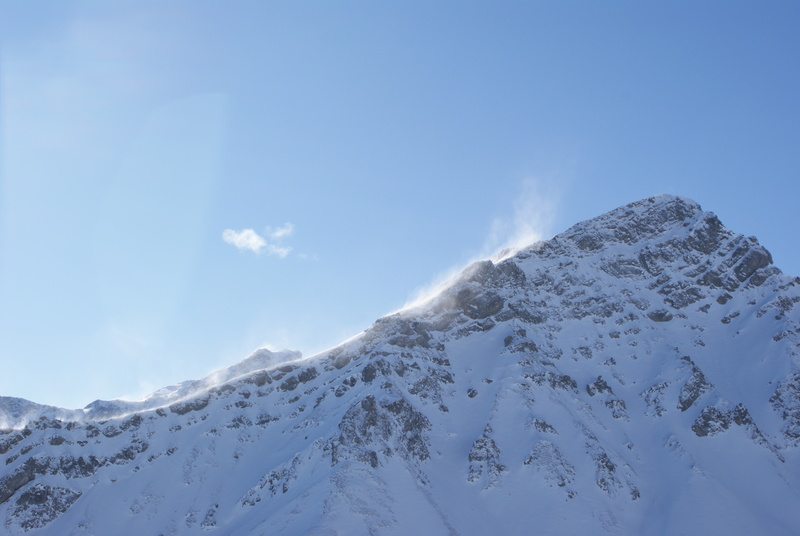 As the sun was pretty strong we had to get up, rather early and we started our skitour at 7.30 – reaching the top at about 10.00 … I have no photos of the way down – but the snow got pretty wet, in the last third and I was very knackered, when I arrived back home. “The Sonnenkopf is Arlbergs hidden powder paradise. Lech am Arlberg and St. Anton may be a lot more prestigious, but this smaller resort deserves some recognition, too!” This is what I told a lot of people over and over again, and for that reason I included the Sonnenkopf into my ski-resort list (link at end of text). But I believe to advise people about places you have to know them – and even if you know them, you have to put them to test over and over again. This is what I did today. Beautiful video of Lech am Arlberg from above – enjoy! Lech from above – click me! I was thinking this video as I just recently wrote a guest post at World Adventure Travel about “Heli-Skiing in Austria for Newbies” and the Arlberg is the place to go for Heli-Skiing. Are there any computer geeks out there, who can tell me how to make iframes work at this place? Have to go again – its the last day of Carnival and we are invited to some friends place. Winter is one of the best times in the year … in my opinion. There are some many great things to do – here you can find my personal Top 5. Winter time is reading time … when it is as cold outside as it is now, what better can you do than use a complete weekend to just read. We all have books we put away during summer or spring, as the weather outside was just to nice to read. Winter is the time to get back to this books. Put some firewood in your oven, have a nice cup of tea and take your time to read again. For years I declined any offer to go tobogganing. It was so much part of my child hood, that I just felt too adult to do it. Little did I know – it´s one of the greatest social events to do ever. Hike up a long and winding run (taking the lift does not count), sit on a traditional hut, have some mulled wine and some delicious food – and then go for it! 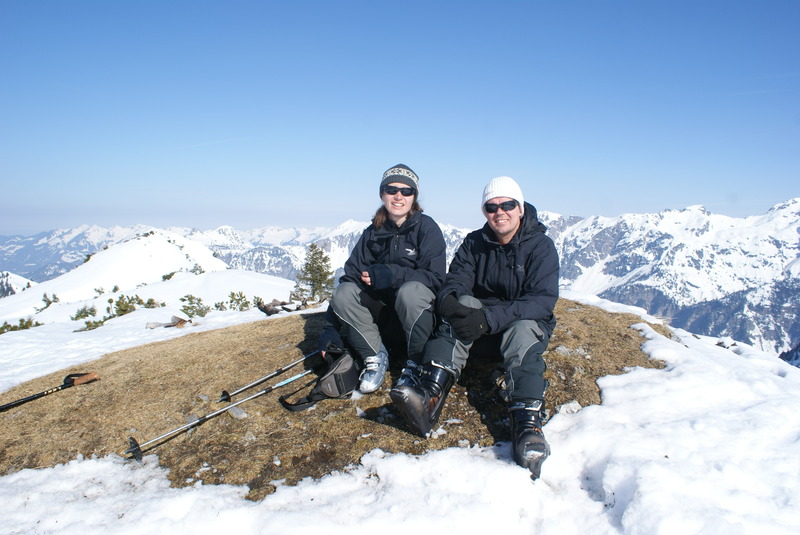 Hiking in Winter is great … the snow covered landscape, the calmness of nature, the chilly experience of cold wind on your skin – and then the feeling of warmness, when you enter a small restaurant to enjoy a nice break. Starting in February it gets even greater, when the sun is getting stronger again and you can feel the coldness of the snow and the warming sun at once. I just love Skiing. A great day in one of the best skiing resorts in my vicinity (you can read about them here) is just too much fun. With a group of friends, who are all good skiers it gives you physical exhaustion, you might go to your limits and it´s a great social event, too. 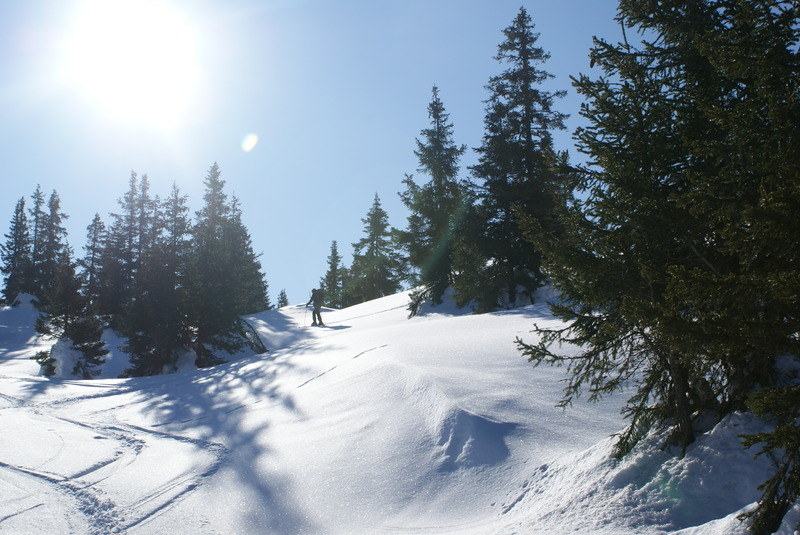 Do not forget to visit a sunny hut in your favorite skiing resort, to indulge in good food and have a drink. Aprés Ski afterwards should not be missed either. Ski Touring is my favorite thing to do in Winter. Enjoy nature off the beaten path, do something for your body and enjoy incredible views at top of the Alpes before doing some powder runs: it just perfectly sums up all the great things you can do in Winter. A day on a nice tour with a friend or a group of friends is just the thing I need to recharge my batteries. Best thing about it is, that the season is very long. You can start as early as November, and some of the best tours can be found at the beginning of May. Of course there are other great things to do … visiting a spa, ice-skating. So what are your favorite things to do in Winter? 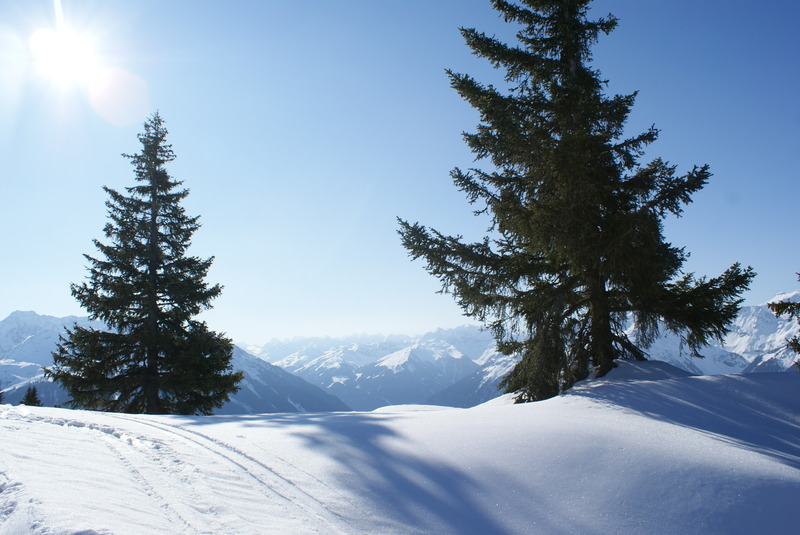 “Great skiing resorts in Tyrol and Vorarlberg” which can be read here by giving some information about Skiing resorts I know in Salzburg. Most people know Salzburg as a city – but there is also a province with the same name, as its capital. Famous for “Sound of Music” and for being Mozarts birthplace, the region has a lot to offer. In Winter they have some really great skiing resorts. And by great, I mean huge – Ski Amadé is a cooperation by a lot of Salzburg (and some Styrian) skiing resorts – 860km of pistes for all levels offer plenty of great skiing. 2013 there will be the Alpine Ski World Championship in Schladming, one of the resorts that belong to Amadé. There are also a lot of smaller resorts, that are worth visiting. 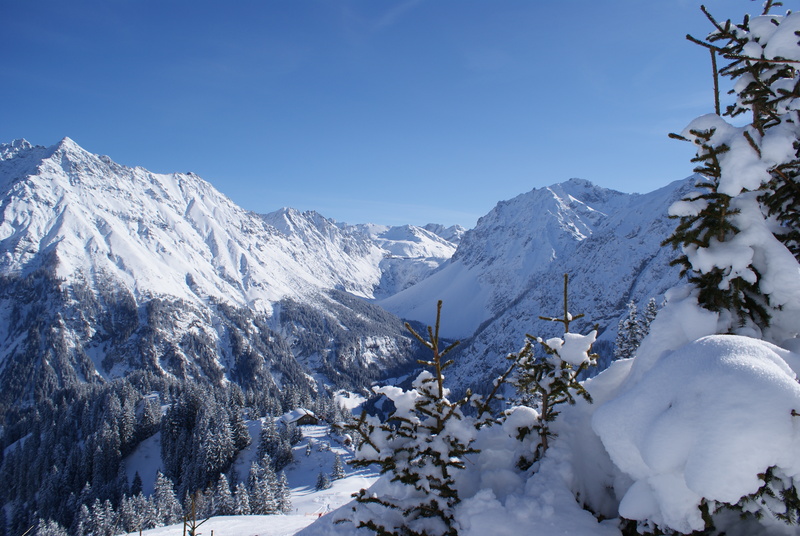 I personally like Rauris – it is a small resort in a beautiful valley, which has some great runs and very traditional huts to have some delicious food with breathtaking views. Rauris is promoting itself for family friendliness, but if you just want to have a day of skiing fun, it is a great location, too. A lot bigger is the Europasportregion Zell am See/Kaprun. 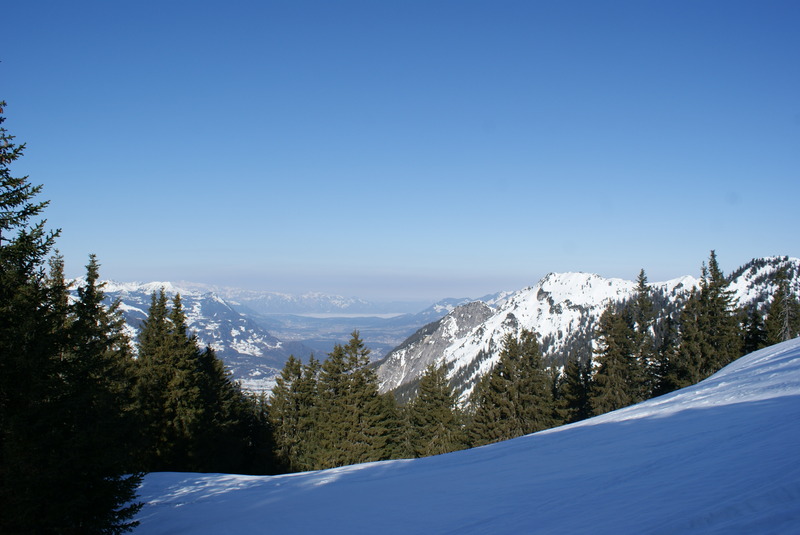 The area consists of a bigger skiing resort (Zell am See), a smaller one (Kaprun) and a glacier skiing resort above Kaprun. Therefore you can go skiing almost all year long. The view to picturesque Zeller Lake is wonderful and you can spot a lot of Austrias highest peaks in the “Hohe Tauern”, including Austrias highest peak – the Grossglockner (3797m). Further down the Pinzgau you can find Mittersill. Mittersills skiing resort has been connected with the Kitzbühel skiing area for some years now, and this part of the skiing resort, might not be as famous as Kitzbühel, but it provides you with a lot of great skiing. Just around the corner of Zell am See, there is another huge skiing arena – Saalbach/Hinterglemm – which can also be reached from Leogang. This area is one of my favorite spots in the Alpes, as you find a lot of great runs not only for beginners and intermediates, but also for good skiers, who want to give it all. Salzburg is definitely a great spot for skiing and if you are considering to come to Austria in Winter, you should not miss out on it. After all this is where the hills are really alive.